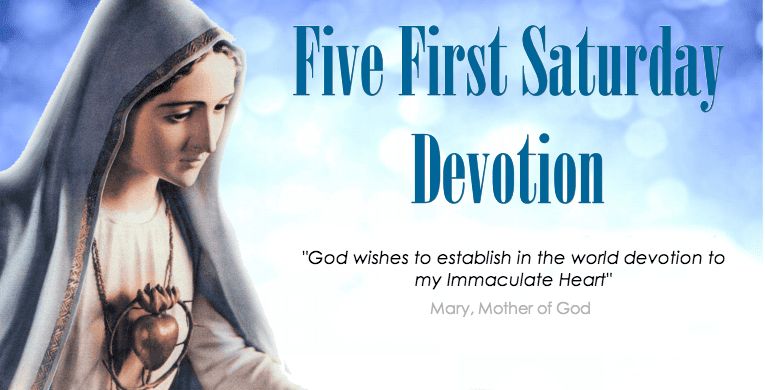 Let us renew the practice of the first five Saturdays of the month which the Holy Virgin herself has strongly recommended. From the first appearance at Cova da Iria, May 13, 1917, Our Lady asks the visionaries the daily recitation of the Holy Rosary. In the apparition of June 13, the Blessed Virgin tells Lucia that Jesus wants to use her “to make herself known and loved. 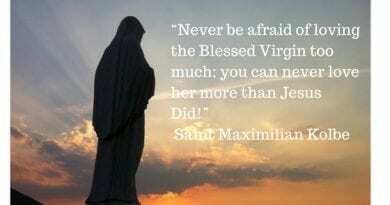 He wants to establish devotion to my Immaculate Heart in the world. To those who embrace it, I promise salvation; and these souls will be loved by God as flowers placed by me to adorn his throne ».Having finished these words, Sister Lucia says she saw “in front of the palm of the Madonna’s right hand, a heart surrounded by thorns, which seemed to be embedded in it. 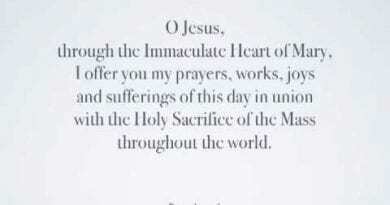 We understood that it was the Immaculate Heart of Mary, outraged by the sins of humanity, who wanted reparation ». 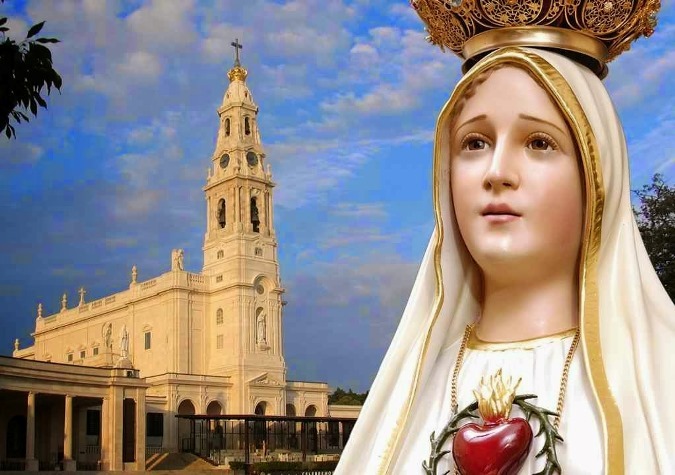 In the third apparition, that of July 13, Our Lady after showing hell and announced a terrible punishment if humanity had not converted, adds: “To prevent all this I will come to ask for the consecration of Russia to my Immaculate Heart and the reparatory communion on the first Saturdays ». In the fourth apparition of 15 August, the Holy Virgin asks: “Pray, pray a lot and make sacrifices for sinners, because many souls go to hell because there is no one to pray for them”. In the sixth and last appearance, on October 13, 1917, the Blessed Virgin appears to the children of Fatima with the scapular of Mount Carmel. Lucia later explained: “The Blessed Virgin wanted everyone to bring the scapular, which is the sign of consecration to the Immaculate Heart of Mary. The Rosary and the Scapular are inseparable “. The apparitions of Our Lady to Sister Lucy also continued after 1917, confirming previous messages. 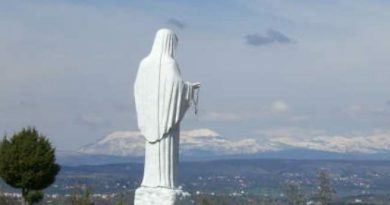 On 10 December 1925, the Blessed Virgin, with the Child Jesus on a bright cloud beside her, appeared to Sister Lucia, in her cell in the Dorotee house, in Pontevedra. The Madonna places a hand on her shoulder while in the other hand she holds a Heart surrounded by thorns. 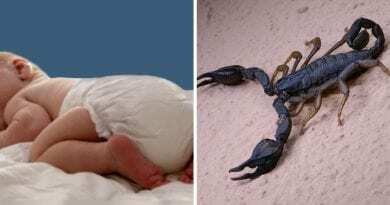 The blasphemies against his Immaculate Conception. The blasphemies against his Virginity. The blasphemies against his divine Motherhood and the refusal to recognize her as the Mother of men. The work of those who publicly instill indifference, contempt and even hatred against this Immaculate Mother in the hearts of the little ones. The work of those who offend it directly in his sacred images. One can also ask why Our Lady chose Saturday. The answer is that from time immemorial this day has been dedicated to Our Lady because, according to many saints and theologians, it was that of the absolute and perfect faith of Mary. While Jesus was closed in the sepulcher and the Apostles themselves doubted, Mary enlightened the darkness of the Passion with her faith. Holy Saturday was the day of his greatest pain, for the loss of Jesus, but also the day of boundless trust in His victory. 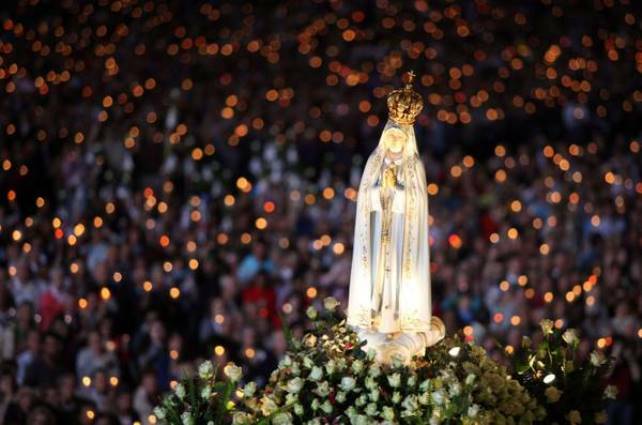 Our Lady at Fatima has indicated the conditions for this triumph. One depends on the Pope and is the consecration of Russia to His Immaculate Heart solemnly made in union with all the bishops of the world. The second request, however, that of spreading the practice of the first five Saturdays of the month, is addressed to every faithful. Almost a century has passed but the prophecy is still unfinished because Russia has not been consecrated to the required conditions and the practice of the five Saturdays has fallen into oblivion. 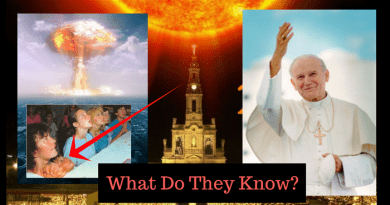 To avoid, or at least reduce, the effects of punishment looming over humanity, we remind everyone, individuals, families and in particular priests and parishes of the need to pray and act to fulfill the demands of Our Lady of Fatima.